It's that time of the year when the beautiful colors of fall start showing up everywhere. So we thought it would make for a perfect challenge theme to use the colors of fall. We have two sponsors for this challenge so we will be picking two winners. 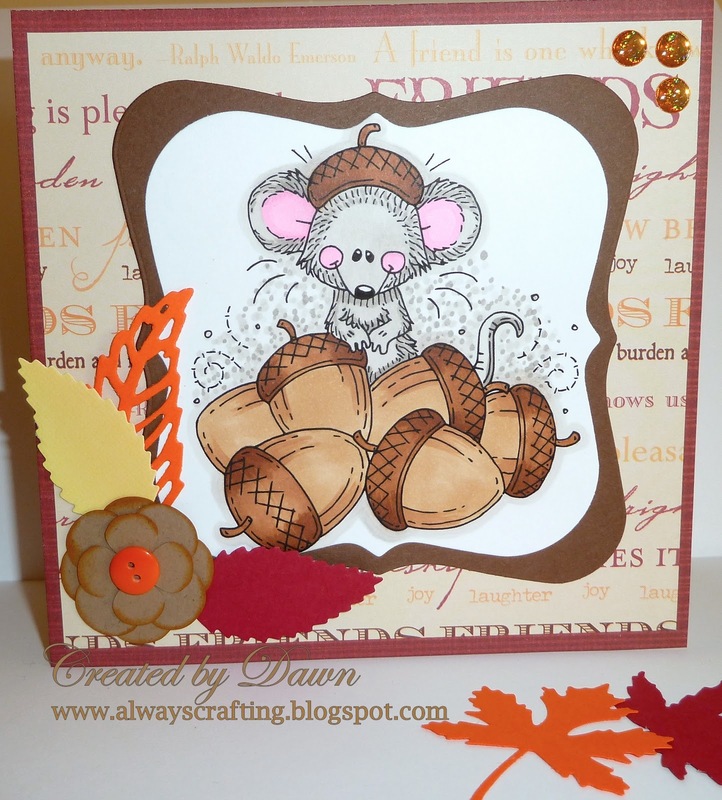 Please head over to www.craftingforallseasons.blogspot.com and enter your project today! We are looking forward to seeing what you create. It can be a L.O., card, altered project, anything.